The Rat Pack epitomized cool in the 1960’s. Their impromptu sell out shows caused a stir and attracted the rich and famous, it was a must have ticket to see these guys joke around and sing some of the finest songs ever written. The Definitive Rat Pack are best known as the original cast members of The Rat Pack – Live from Las Vegas who have now created their own and more personal show. They are undoubtedly the world’s finest interpreters of Frank Sinatra, Dean Martin and Sammy Davis Jr. available. Other acts and shows have followed in their wake, often riding off their success, but simply lack the one necessary ingredient to make it special; which is the “tour de force” that are Stephen Triffitt, Mark Adams and George Daniel Long. To call them a tribute act or impersonators would truly undervalue the years of experience and dedication they have put into their portrayals. 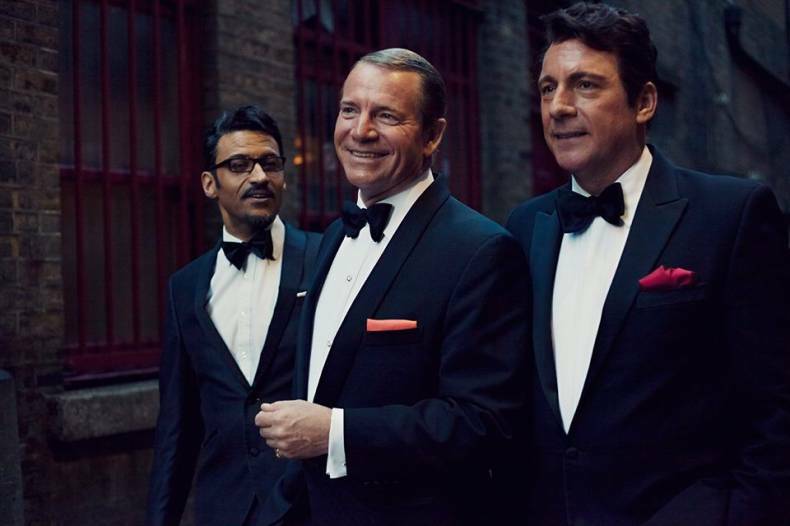 These guys are “The Definitive Rat Pack” as for more than 10 years they have faithfully re-created that era. Watching Stephen, Mark and George interact with each other off stage is just as entertaining as when they are in character. Yet there’s no hierarchy, no egos as such. They feed of each other’s passions for the Rat Pack (after all it’s what brought them together so many years ago now) and have a natural balance between them that’s pleasing and refreshing to see. It’s logical then, that their friendship spills out onto the stage: yes, they are performing as Frank, Dean and Sammy but they also bring Stephen’s, Mark’s and George’s familiarities with them. And it’s this connection that shines through and brings to life once more the Rat Pack, as silly, as funny, as meaningful and as entertaining as the original ever was. Stephen and Mark agree. And as the audience, we have to agree, too. It’s infectious. It’s addictive. It’s the Definitive Rat Pack. The National Concert Hall sits proudly on Earlsfort Terrace in Dublin’s city centre and is home to the RTÉ National Symphony Orchestra, Chamber Choir Ireland, Irish Baroque Orchestra, Music Network and Music Generation. 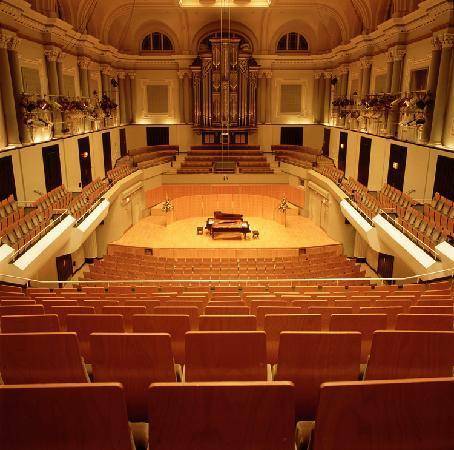 Next door to the picturesque Iveagh Gardens and in the heart of a commercial district known as the National Concert Hall Quarter, it hosts over 1000 events per annum. Its mission, to foster and celebrate the appreciation, knowledge, enjoyment and pure love of music as an integral part of Irish life.